If you want to climb Mount St. Helens, spend a few nights in the Enchantments, or backpack on the Wonderland Trail, you’re probably not alone. Getting a permit for some of Washington’s popular wilderness areas can be tough and requires a bit of advanced planning, a willingness to be flexible, and sometimes a stroke of luck. Though reservation systems aren’t perfect and can be frustrating to navigate, permits are a necessary step that preserve the wilderness experience and protect fragile environments from being overrun. Many lottery and permit applications for wilderness areas in Washington open in March, so now is a great time to start planning. Below is a guide to important permit dates and details for these coveted areas. From a summit climb on Jan 1, 2015. From November 1 to March 31, permits for climbing Mount St Helens are free, unlimited, and available 24/7 through self-registration at the Marble Mountain Sno Park. From April 1 to May 14, permits are limited to 500 per day. From May 15 to October 31, only 100 permits are issued per day and available by advanced purchase only. This year, due to the government shutdown, climbing permits will not be going on sale on February 1 as is customary with Mount St. Helens. The Mount St. Helens Institute just announced as of February 19 that climbing permits will go on sale Monday, March 18 at 7am through Recreation.gov. Permits will be $15 per person with a $6 fee per permit reservation. Climbing groups are limited to 12 people per permit and permits are available first-come, first-served. 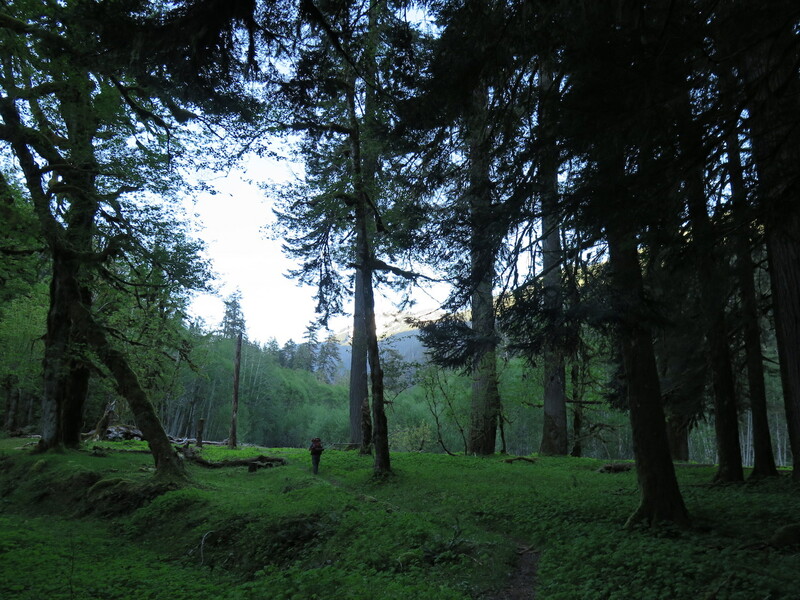 Updated information is available on the Gifford Pinchot National Forest website. A wilderness permit is required for all overnight camping at Mount Rainier National Park. Anyone climbing above 10,000′ or onto any glaciers at the Park must also pay an annual climbing fee. The fee is $50.00 per person for anyone 26 years of age or older and $35 per person for anyone 25 and under. 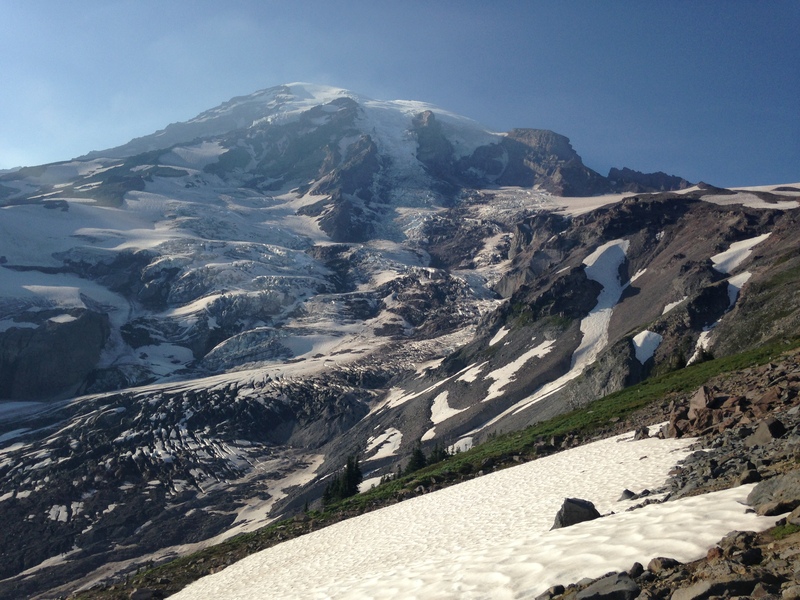 This is not required for day trips to Camp Muir or Camp Schurman, only for climbs higher. If you stay overnight at either camp, you still need a standard wilderness permit. 70% of wilderness permits at Mount Rainier are reservable and the park begins accepting online reservations between March 15 and March 31 for any trips ending September 28. After September 28, permits are issued in person on a first-come, first-served basis. Applications received from March 15 to March 31 are processed on April 1 in random order and winners will be notified several weeks later, sometimes not until May due to large volumes of submissions. Online reservation requests are $20 per party per trip and are non-refundable, even if you do not receive a permit. For the Wonderland Trail, the Park will only review one full-circuit Wonderland Trip request per person. The Wonderland Trail is quite popular, so if you don’t score with your reservation, keep in mind that 30% of the park’s permits are available on a walk-in basis. With some flexibility, you can still make it happen! 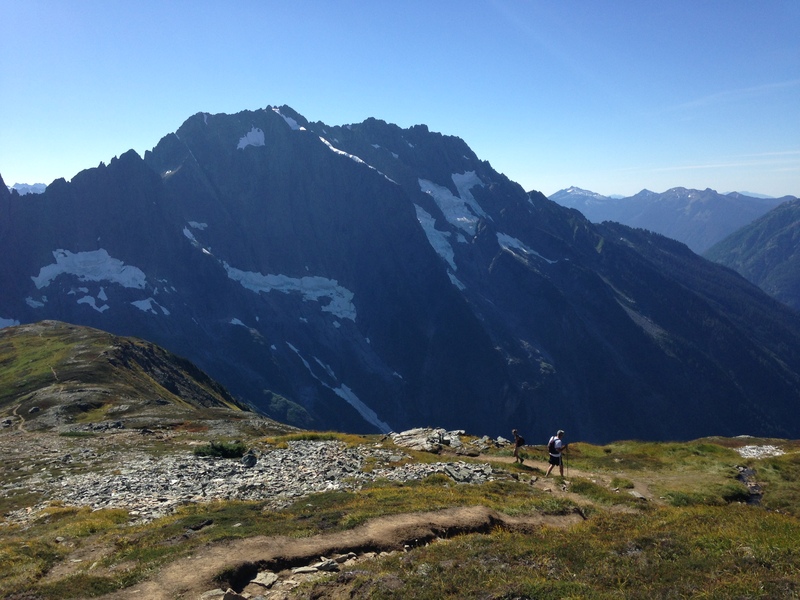 Permits are required for all overnight stays in the North Cascades National Park backcountry. In 2017, the North Cascades debuted a pilot program that allowed advanced reservations for up to 60% of sites in certain areas of the park. That system continues for 2019 with dates similar to Mount Rainier, but a bit more complicated. Online reservation requests can be submitted for a $20 non-refundable fee per request between March 15 and March 31 for trips between May 15 – September 30. Permits for trips before May 15 or after September 30 are only available in person on a first-come, first-serve basis. On April 1, requests submitted between March 15 and March 31 will be processed in random order. After April 1 until April 30, reservations are processed in the order received. The online reservation system closes April 30 and permits become available by walk-in only. For stock parties to receive priority at stock camps, reservations must be submitted by March 31. All permits are available through the Wilderness Information Center in Marblemount. If you’re not passing through Marblemount, you can get permits at a number of other ranger stations (Golden West in Stehekin, Glacier, Sedro-Woolley, Methow Valley Visitor Center, or Chelan Ranger Station). Wilderness permits are required for all overnight stays in the Olympic National Park backcountry and are $8 per person per night. Additionally, you can purchase an Olympic Annual Wilderness Pass for $45/year that will cover all backcountry fees for a year. Reservations are recommended from May 1 to September 30 when camping one or more nights in quota areas, which are generally high use. In non-quota areas, reservations are not accepted. In 2018, the Wilderness Information Center piloted an online reservation program but that has been discontinued for 2019. Olympic National Park has not yet released information on how (or if) they will be accepting online reservations for 2019, so stay tuned for more information. Eight campsites in Mount St Helen’s beautiful Mount Margaret backcountry are available via advanced reservation only through Recreation.gov. Permits go on sale March 1 through September 30 and allow camping for up to four people per group. The non-refundable application fee is $6 per permit. Permits are required for overnight stays in the Enchantment Area Wilderness between May 15 – October 31. Due to overwhelming popularity, I’m sure most Washingtonians are familiar with this one! Applications exploded from 2,802 submissions in 2011 to over 20k in 2017. If you want to see more statistics around permit allocations and application numbers for specific zones you can check out this PDF updated through 2017. A pre-season lottery is held February 15 – March 2 each year to allocate 75% of the overnight permits. Applications will be randomly drawn March 13 and any unclaimed permits are returned to the reservation system on April 1. Daily walk-in permits can be obtained (except Sundays) at the Wenatchee River Ranger District Office in Leavenworth at 7:45am. Demand usually exceeds availability and during peak season if more people are present than permits available, a drawing is held to distribute the walk-in permits. I’ve yet to win an overnight permit after nearly 10 years of trying so instead, I’ve Death Marched (aka, day hiked) the Enchantments three times. I’m convinced there should be some kind of weighting rule for every year you’ve applied that resets to zero once you finally win! Day hiking is always an option, but be physically fit and prepared because it’s one long, tough outing. Don’t expect much solitude these days either as lots more people have figured out the sure way to the Enchantments is doing it in a day! And please, be very careful about dangerous early and late season conditions. Sadly, several people have fallen through the snow on Aasgard Pass to their death. Know the route and its dangers. Fancy spending the night in a fire lookout? The good news is that you can! The bad news is that there are only a few here in Washington State that are first-come, first-serve and even fewer that are reservable. Quartz Mountain Lookout in Mount Spokane State Park, Evergreen Mountain Lookout in the Mt. Baker-Snoqualmie National Forest, and the recently renovated Heybrook Lookout, also in the Mt. Baker-Snoqualmie National Forest, all have reservation windows that fill very quickly. Quartz Mountain Lookout in Mount Spokane State Park is reservable from June 15 – September 30 each year for $53-93 per night + tax depending on the date. The lookout has stunning views of the entire Spokane Valley and can accommodate up to 4 people, no pets. It’s a relatively easy 2-2.5 mile hike to the lookout. Read more about Quartz Mountain Lookout. Evergreen Mountain Lookout is available for rental August 1 through October 15th for $85 per night, opening 6 months in advance to the date. Outside those dates, it’s sometimes available for walk-in through the Ranger District weather-permitting. Read more about Evergreen Mountain Lookout. Heybrook Lookout, located right off US Highway 2, rents for $75 per night and is available for reservations May 1 through October 31, opening 6 months in advance to the date. In 2017, Filson partnered with the USFS and National Forest Foundation to beautifully restore the lookout. Sadly, it was the victim of vandalism shortly after the restoration, but then repaired again. It’s now a beautiful place for an overnight stay. Read More about Heybrook Lookout. Permit dates can be confusing. Want to make it easy? 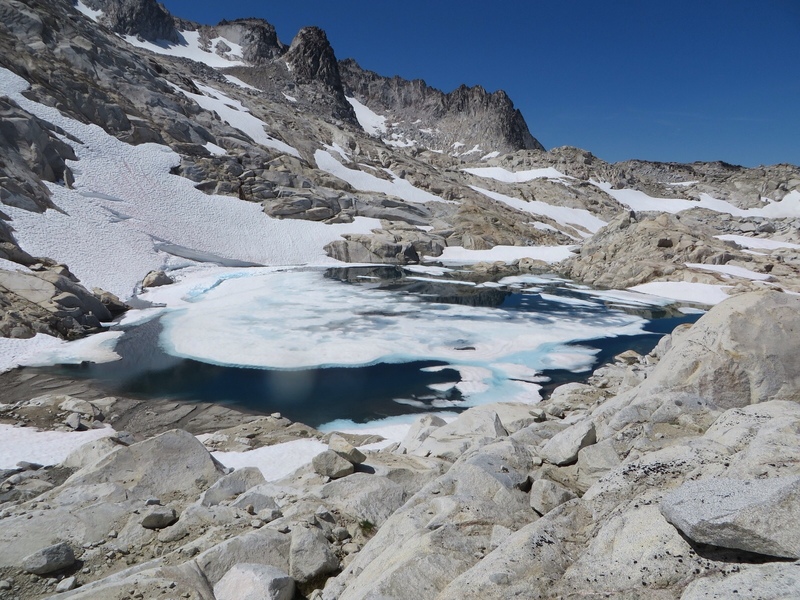 For your best chances, get your application in for the Enchantments in February and all other areas by end of March and check the reservation websites often for more details. With many of our wilderness areas seeing increased visitation, have patience when it comes to permit systems, be creative with a Plan B or a lesser known route, and know that permits are a safeguard that protect our wild spaces. I feel sorry for the poor Mount St. Helens Institute, who had a really bad year last year when triple the normal volume of applications crashed their permitting system. They suspended sales and tried again, but had a series of issues that left people frustrated and angry and lashing out on social media. I spend my days as a Technology Manager and it’s unfair to expect the Mount St. Helens Institute, a nonprofit organization devoted to helping people understand and protect the volcano, to have the right answers when it comes to IT infrastructure. Many places are transitioning to better systems and processes and it takes a little time. This is a busy time for the Parks so be patient and be kind. Always remember to leave no trace and treat our historical fire lookouts with a lot of respect and care so their fantastic history can be enjoyed for generations to come! Good luck with the upcoming permit season!